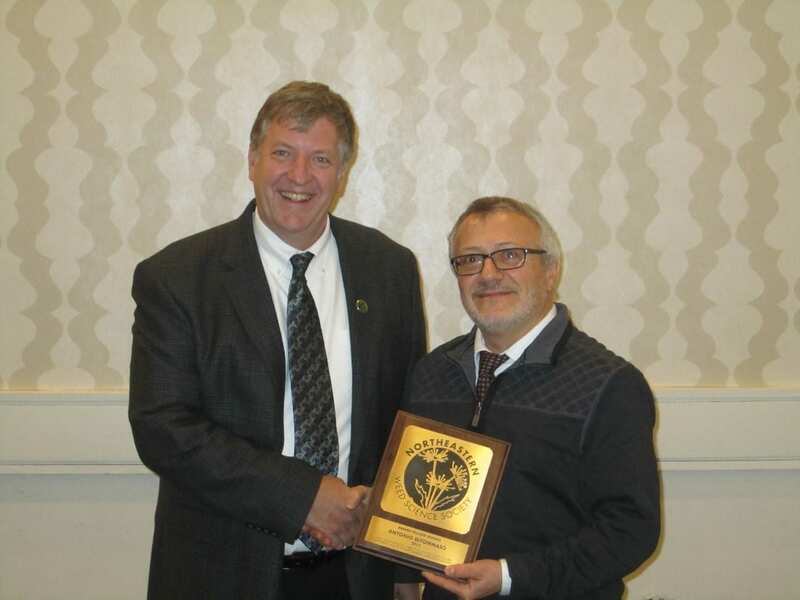 Congratulations to Toni DiTommaso, Professor & Chair, SIPS Soil and Crop Sciences Section, for receiving the 2019 Fellow Award from the Northeastern Weed Science Society (NEWSS). DiTommaso received the award at The Northeastern Plant, Pest, and Soils Conference held January 8-10, 2019 in Hunt Valley, MD. The Fellow award is one of the highest honors the NEWSS Society presents. The purpose of this award is to recognize those members who have made significant contributions to the NEWSS and to Weed Science in the Northeast. The Northeastern Plant, Pest, and Soils Conference (NEPPSC) is organized in cooperation with the Northeastern Weed Science Society (NEWSS), the Northeast Branch of the American Society of Agronomy, Crop Science Society of America, and the Soil Science Society of America (NE ASA-CSAA-SSSA), and the American Society of Horticultural Science-Northeast Region (NE-ASHS). The goal of this meeting is provide a venue to bring together people with interests in entomology, plant pathology, weeds, horticulture, agriculture, agronomy, and soil science for the purpose of sharing of ideas and the presentation of the results of scientific studies and outreach programs.